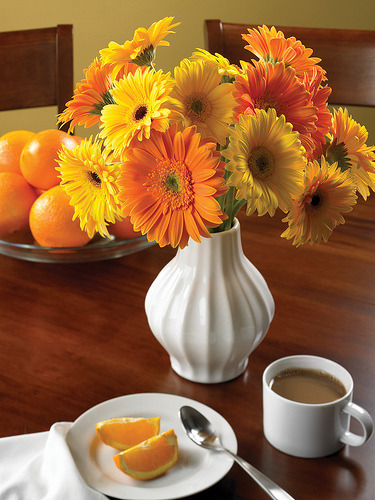 Gerberas are one of the most popular varieties of flowers in the industry- a fact that has held true for decades. The reasons why are fairly simple when regarding the flower and can be easily understood based on their color, texture and shape. Gerberas = Happiness to most people; a statement that has been held in truth across a wide variety of demographics. Both young and old have always enjoyed requesting this bloom for weddings, anniversaries, birthdays or just to take home for a vase for themselves. Boston florists recognized the need to keep their inventory of this particular species well packed in coolers, especially in the summer months where their popularity really skyrockets. Commonly associated with the sunflower (another summer bloomer of particular interest during June –September) and the daisy (hence its name), people just can’t get enough of the beautiful, unscented fleur that has been synonymous in meaning to “happiness” and “joy” since the beginning of time. Bougainvillea is a stunning flower which is favorite to many who have fallen in love with its cheery appearance and brightly colored petals. Considered a traditional bloom, New Englanders have long been planting this variety in and around their homes even though the original origin traces back to tropical climates. Native to the Caribbean Islands, Rio de Janeiro as well as South America, countries such as Brazil and Granada use this bloom as a symbol frequently within their culture, celebrating the beauty and charm of the species. Grown in shades of red, orange, pink, white and some variegated tri-colors, the soft and delicate “paper-like” petals have made it famous across the world. In some nations such as Guam and Granada, bougainvillea is so special that it has become the official flower where it is purposefully grown in abundance. In many of these places, you can see these flowers blooming everywhere from the side of the road to gorgeous cascades drifting across rooftops and down the walls. The symbolic meaning of bougainvillea changes from one area of the globe to another but the majority claims it stands for a sign of welcoming visitors and beauty. Hawaii is a prime example who sometimes exchanges the orchids used in leis with florets of bougainvillea on special occasions. 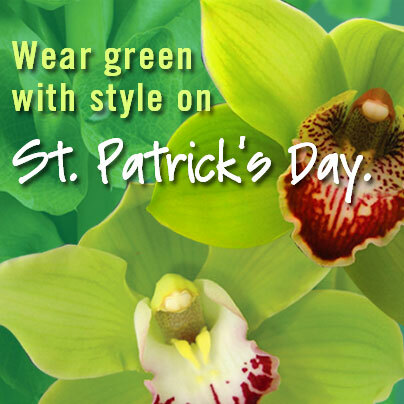 In other cultures, the plant is considered a symbol of peace and an encourager of free trade between two entities. Others believe that gifting a stem to a loved one will ignite passion within the relationship. Talking in terms of floral design, these beauties can really lift up a drab arrangement and fill it with interesting texture and hues. Although the flowers are not prone to cold winter weather here in New England, on occasion, shipments will be flown into Boston during the warmer months of the year. There is also the possibility of finding a native supplier who harvests this variety during temperate periods of the calendar. In this case, invest in buying a bundle of branches which you can take home and showcase in a tall clear vase. Other ideas on how to use bougainvillea include potting in small ceramic containers for your windowsill or transporting the plant into a hanging basket where the branches can flow freely. Either way you choose, this stunner is a perfect addition to any flower lovers collection. You might not believe this but there are actually flowers in existence, which make you smarter just by placing them nearby in your living space. Whether they are growing in a garden or sitting in a bouquet upon your coffee table, particular floral species have the ability to spike human intelligence along with other essential vital components. According to research, inherent properties such as smell, color and texture influence our brain’s activity in a positive way. While each of these characteristics will have different results depending on the person, the inhalation of sweet scents, the visual of a striking color and the touch of softness on your fingertips all encourage higher neuro-wavelengths in the cranium. Other benefits from regular exposure to flowers can also determine mood changes, stress levels and the body’s ability to recover from injury. I bet you don’t think about the impact you’re really having on someone when you send flowers to the hospital but the gesture truly is another form of medicine that you are gifting the patient. Doctors routinely indicate that a present of fresh cut blossoms boost endorphins, which assist the ill with beneficial energy that is needed to heal. Another area where we’ve seen an obvious favorable floral outcome is within a person’s mood transformation when exposed to certain flowers. For those who need enhancers to correct issues of depression, anxiety or temperament, you might want to add a bunch of fresh daisies to their daily lifestyle to improve their outlook. Yes- it really works! 70% percent of people who experience these symptoms admit a weekly stop at their local florist increases their mood and overall outlook. If these benefits sound alluring, you might want to check out this list of varieties that are said to work wonders for the brain. Including intelligence, creativity, personality and bodily system regulation, these buds are top notch in helping you reach your full potential! 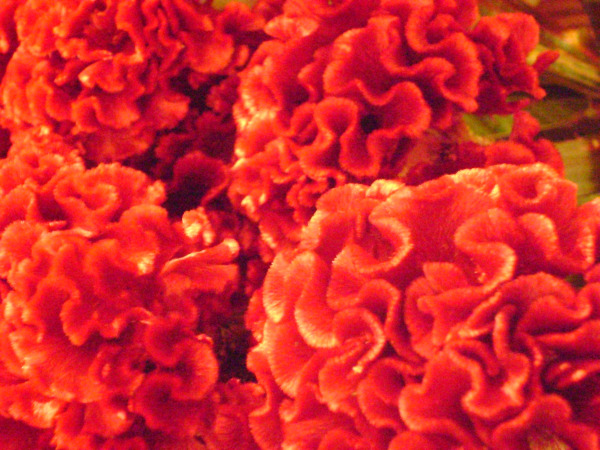 Celosia- The appearance of this flower says it all since it closely resembles the image of a human brain. Sweet Pea- This pretty spring bloomer, which gives off a pleasant aroma, will improve even the darkest mental state. Gerbera Daisies- This flower has long been popular with most people due to it’s happy exterior of a round face surrounded by bright petals. One of the first flowers we are ever introduced to as children is the “buttercup”, a bloom which most of us found popping up in our backyards in pretty patches of yellow. Perhaps you picked a bouquet for your mother or maybe rubbed the petals against your chin to see it glow? However you played with these beloved, tiny blossoms, I’m confident that many of you have a summer memory or two that includes the buttercup in childhood play. Belonging to the “ranunculus” family, this plant often has yellow, shiny petals and a green center, which is easily cultivated in a multitude of areas such as meadows, glens and grassy areas. Often, it is referred to as a “weed” only because it needs little to survive and can be counted on to arrive each and every spring depending on weather conditions. Due to it’s congenial growing temperament, it’s no wonder why the buttercup becomes a sought after ground cover for many landscaping designs. Because the buttercup is so closely intertwined with children, the symbolic meaning is understandably synonymous with this theme. 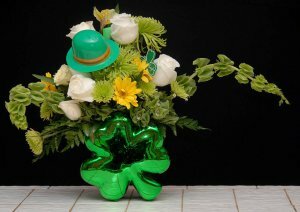 Although there are variations, quite often the flower is said to represent joy, youth, purity, happiness and friendship. It can also mean playfulness, cheerfulness and sunshine, which reflect the bloom’s happy appearance. If you wake up from having a dream about buttercups, this can mean that you are missing some piece of your childhood and perhaps it’s time to visit the house where you grew up or call and old friend. Another meaning can be that you are making decisions in life, which are moving you at an uncomfortably fast pace. In this case, it’s wise to slow down and reevaluate the direction you’ve chosen. So where do these references originate from? 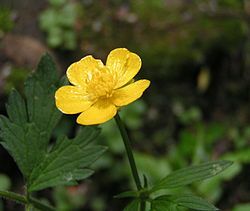 Through myth and history, the buttercup has earned its reputation from a miser and a cow, each offering their unique take on why the flower remains symbolically important. In the first example, it is said that a miser was punished for not sharing his gold coins with fairies one day while crossing a meadow. This angered the fairies, making them poke a hole in the bag thus dropping the money to the ground. Fearing the miser would notice, they turned the gold into yellow flowers, which hid them from his view. The second story originates from a farmer believing that his prized cow gave the sweetest milk because she only grazed on yellow buttercups instead of grass like the others. The blooms nutrients were said to have made her milk delicious, surpassing any heifer in town. You may want to take this legend with a grain of salt because cows or humans should never ingest the buttercup. The high toxicity of the plant can cause sickness and in some cases even death. How many of you out there have ever heard of the “Gillyflower”? I have to admit, I was kind of in the dark about this stock flower, which not only has an interesting appearance but also holds significant symbolic meaning to many cultures around the world. The species grows quite richly in diversity and is thought of as a traditional bloom originating in the Mediterranean. Although it has now been successfully cultivated in other warmer regions and still continues to grow as a highly demanded import, gillyflower remains historically as one of the original “romantic” plants for lovers. 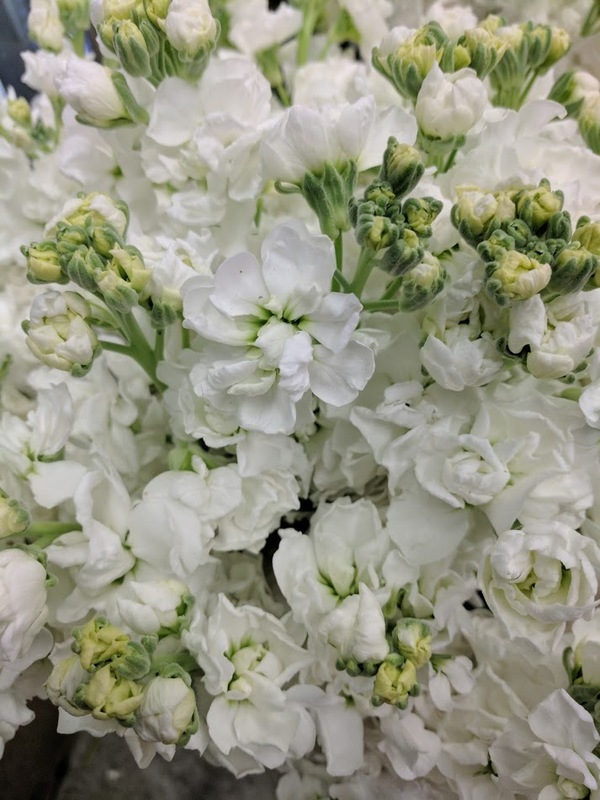 Coming from the “stock” family, this flower holds a stunning scent within every puffy bloom and also possesses the sought after trait of being a hardy crop. While gillyflower grows in a multitude of different colors, pink, cream and shades of white are popularly used in wedding bouquets and centerpieces (different meanings apply to different shades). Of course, the flower’s intoxicating smell is a strong seller to brides but more than that is it’s sweet yet sturdy presentation when intermixed with a variety of other species. The fact that gillyflower is also attached to themes of “bliss” and “everlasting love” also helps to put this bloom at the top of many wedding party planner’s lists. The symbolism of the stock flower dates back to centuries ago in England where it was used as a type of currency to buy parcels of land. Often referred to as “clove”, people believed the blossom to be valuable, which attributes the “opulence” and “wealth” end of its meaning. Gillyflower can also stand for accepting and enjoying the life you have been given, endless beauty, purity, adoration, a religious connection and even as a sign for the zodiac, Taurus. In general, this flower represents a long lived life, luck and immense happiness so it’s a wonderful choice for weddings, births and special anniversaries. With such a vast array of contemporary flowers available to us these days, it’s sometimes easy to forget about some of the beautiful classic species we grew up with. Many of these stunning blooms we can still find in our backyard, one of which is the blue violet. How many times have you come across this sweet flower and never realized the importance they hold when speaking in terms of symbolic meaning? Generations of growers and floral enthusiasts will tell you that these pretties are quite special when considering their background. Not only are violets the official flower for celebrating a 50th wedding anniversary but they’re also a sign of intuition and spiritual connection. Having five heart-shaped petals typically surrounding a white center, these early spring bloomers can be found anywhere from wooded glens to grassy meadows. While most grow wildly in nature, violet lovers will be pleased to know that many greenhouses now carry samplings in a variety of different colors for those who wish to cultivate a crop in their own backyard. Another connection the violet plays in relation to history is a religious theme, which links to Catholicism’s Virgin Mary. Because of this, the violet can signify “Modesty” and “Humility” and often is looked upon as a sign of innocence. Bunches of violets were hence used as gifts to newlyweds at the beginning of their sexual relationship. In Greek mythology, once again Persephone has a relationship to a flower because it is said that she collected clumps of violets before she was taken down the underworld each fall as a memento of the happier days spent in the spring. The last symbolic reference the flower is recognized by is its relationship to “love”. Nosegays of the spring bloomer were once offered as a token to a new love interest as the traditional gesture and is still often requested by florists to serve as this very purpose. Simple, elegant and delicate, violets make a statement that a relationship is everlasting and will stand the test of time. There are so many beautiful colors you’ll find in a garden, but when you spot a species grown entirely in blue-you stop and take notice. While there are many different varieties grown in red, orange and yellow, it’s sometimes hard to cultivate indigo blossoms because the truth is, there just aren’t that many in existence. It is for this reason, which make delphinium, hydrangea and forget-me-nots so special in our gardens. One blue flower that happens to be a top favorite is the cornflower, which interestingly enough has a strong symbolic meaning in several cultures and religions. Everything about this flower means something good (well, almost good)- a rare trait in floral lure. The first species date back to the mid 1800’s where it became a symbol for many European countries. First and foremost, the cornflower has a strong political tie, particularly to Prussia, Germany, France and Estonia. The most well know story tied to this species dates back to when Napoleon invaded Prussia and Queen Louise was forced to hide her children in a field of cornflower to camouflage their presence. As she told them to lie down on top of the flowers, she wove crowns out of the wildflowers and told the children to wear them on their heads to blend in with gardens. Soon, the flower was also adopted by Germany as a symbol of military as well as France who emulated it’s similar color to their soldier’s uniforms. Estonia also uses the cornflower to signify political parties including the People’s Union and the Liberal People’s Party as well as a symbol of bread. On a negative side, the cornflower was also taken as a warning signal worn by the Natzi’s in Austria. It is because of this tainted past that many countries did not want to utilize the blossom for their nation’s pride in fear they would be seen as supportive of Hitler’s horrendous reign in power. 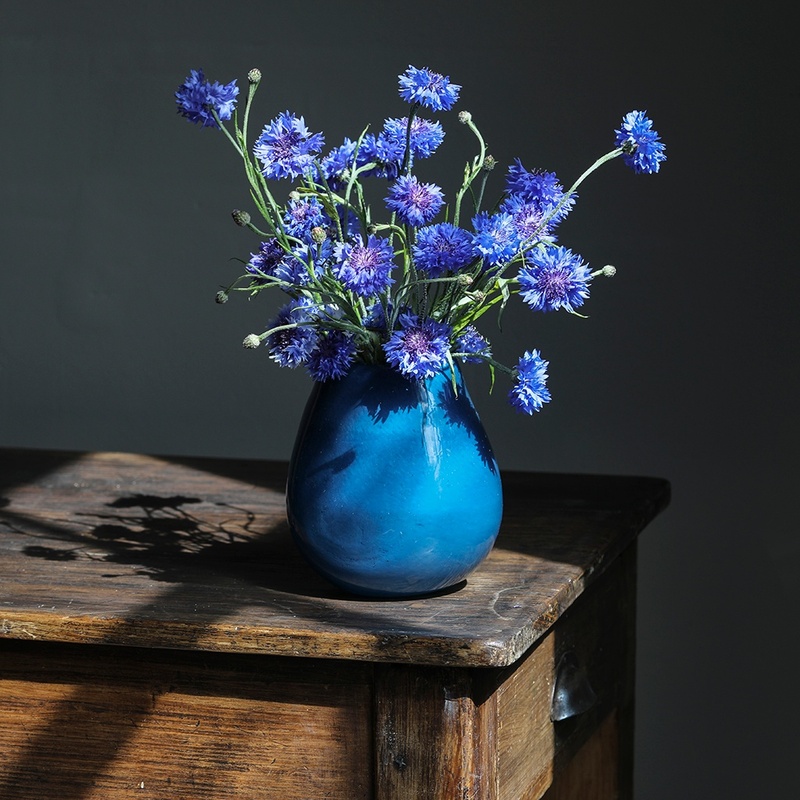 It took years for the cornflower to win back a positive reputation where today it can also mean wealth, pride and an abundance of good fortune. Flowers are capable of providing us with many benefits including aromatherapy, visual stimulation and beautiful décor to name just a few. We enjoy the color, the shape and texture which we use as ornamental items in our houses, yards and even business offices to elevate our moods and general well being. 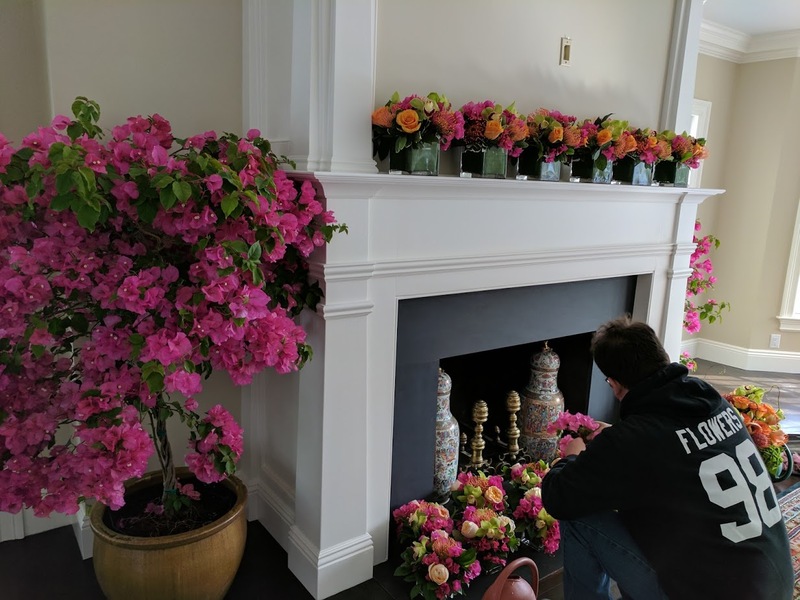 Florists will be the first ones to tell you the positive attributes of placing bouquets throughout living spaces and there is even evidence that doing so can elongate a person’s lifespan. That’s pretty incredible, right? But what if I was to tell you that certain flowers also possessed a bit of magic? No really, I mean it! Black Eyed Susan’s for example are tied to being connected to those who have passed away. For loved ones who are no longer with us, this summer perennial is said to be an inducer for mediumship. It is said if you place them by your home you will increase your chances of calling loved ones who are now deceased into your dreams. The Hollyhock is also an interesting plant to study since it’s said to bind you to your past lives. 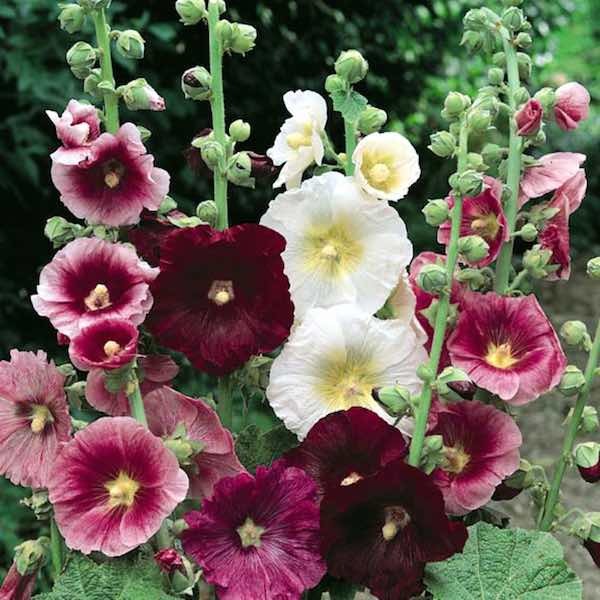 Hollyhock is believed to accentuate the ability to remember who you were in terms of reincarnation where you may be able to “sense” certain previous relationships, skills and life journeys from long ago. Lilies are something you might want to invest in if you are thinking about re-landscaping your yard because they are known to attract angels-yes angels! In doing so, you are inspiring safety, peace and spiritual wellness to surround your home. Susana means lily of the valley. stinging my dad with welts until adulthood. The sweet and pungent aroma of lily of the valley makes this spring bloom one of New England’s favorite signs of warmer weather arriving. The delicate structure of the plant also adds to its allure having tiny white bells dancing up a slender stem with bright green foliage, which wraps around the flower. Most believe that clumps of lily of the valley standing alone in a glass vase is enough to decorate any room, needing no other varieties to spruce up their appeal. Blooming anywhere from early March to late April, the plant loves temperate days and chilly nights that produce its optimum growing conditions. Unfortunately, the flowers disappear almost instantly once we head into summer but the good news is, this bulbed beauty will spread its roots and triple in shoots when the next seasonal cycle begins. Also known as “Convallaria”, you can find the tiny bells growing almost everywhere on lawns and around houses but their favorite spot is in the forest where they really flourish. Lily of the Valley makes an excellent ground covering because its easy to plant and requires almost no maintenance making this a go-to for landscapers as they await June’s fresh crop of perennials. 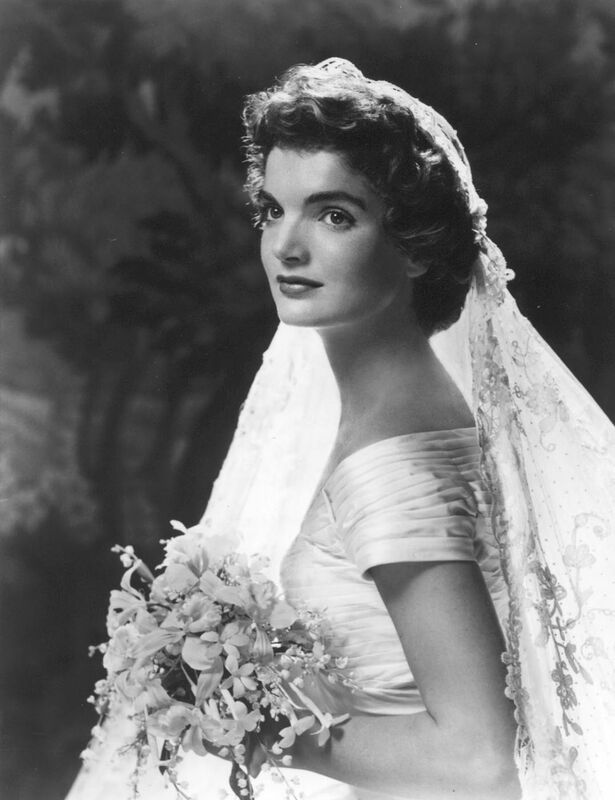 Jacqueline Bouvier, Grace Kelly and Caroline Schlossberg are just a few princess like brides who carried lily of the valley as brides. The symbolic meaning of the flower is widely disputed since the variety is old and is referenced by several different cultures around the world. One of the more popular legends surmises that the flower is an omen of war and bloodshed. Lily of the Valley was religiously tied to Saint Leonard who had decided to live a life of solitary existence in the depths of the woods. Hoping to live out his days in purity, he unfortunately falls to the wiles of the devil who successfully tempts him, thus breaking the Saint’s vows of saintly hood. For his punishment, the devil transforms itself into a beastly dragon that attacks Leonard and causes him to bleed profusely. After his blood has shed into the ground below, lily of the valley was believed to grow in masses out of the red liquid symbolizing remembrance, solitude and grief. Today, we recognize lily of the valley as a sign of good luck and is often given in bunches to friends and family on the first day of May. If you are lucky to be the recipient of such a gesture, myth reveals that you will have a spring and summer filled with adventure and love.